It was Friday and I was craving for a good wagyu burger with chips. 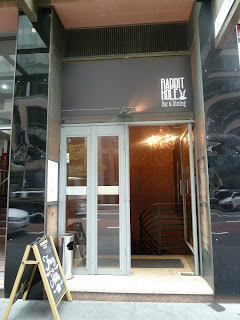 I checked out restaurants in the area and decided to try out Rabbit Hole Bar & Dining. What an interesting name! Plus it is literally around the corner from my office. We got there just after 12 and for a Friday lunch time, I was surprised at how quiet it was. Our choice was Wagyu beef burger on a Brioche bun with Brie cheese and housemade tomato relish. It was accompanied by hand cut fat chips. The chips were good! More please! In my humble opinion, I felt the beef burger could have done with more flavours. Something to lift up the flavours, for e.g. some pickles could have added a little bit of needed magic. Now maybe there were pickles in the burger (it seems to be the case for other diner reviews) but I didn't taste it and neither did my colleague. The brioche bun was toasted to the point where it was crumbling after every bite. Sorry, I know I am beginning to sound like a food critic. It's just that I love a good burger and when I find one not quite to my expectation, I can't help myself. I just love a burger with a freshly baked bun, warm and soft but not crumbly. Prior to this experience I had such a fantastic burger in Queenstown (Activities in Queenstown). I think my expectations have been set to a higher benchmark. The young lady attending to us was warm and friendly. So from a service perspective, no complaints at all. 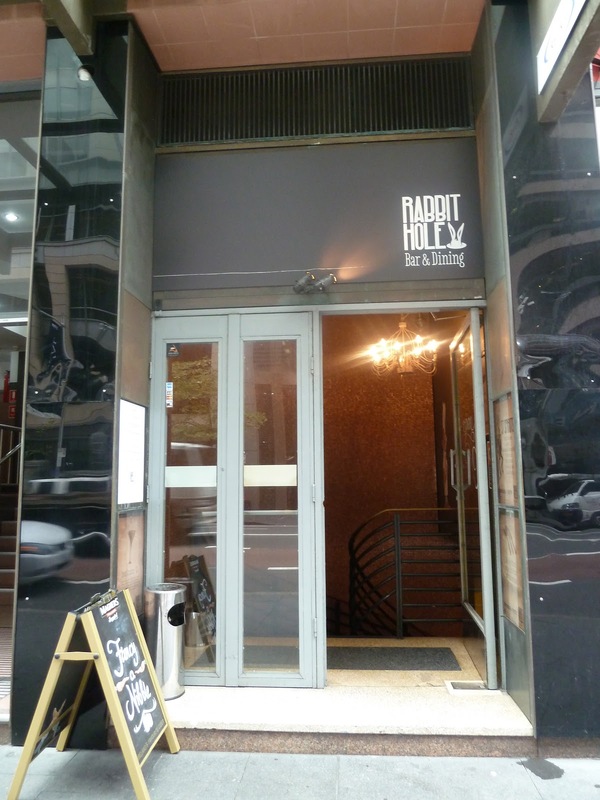 There seems to be very positive online reviews for this dining venue. Maybe they flourish during the dinner sessions? It could be that their specialty are on French dishes so please let me know if you have dined here and whether you had a great food experience.